Enjoy your holidays! - kroatien-traums Webseite! 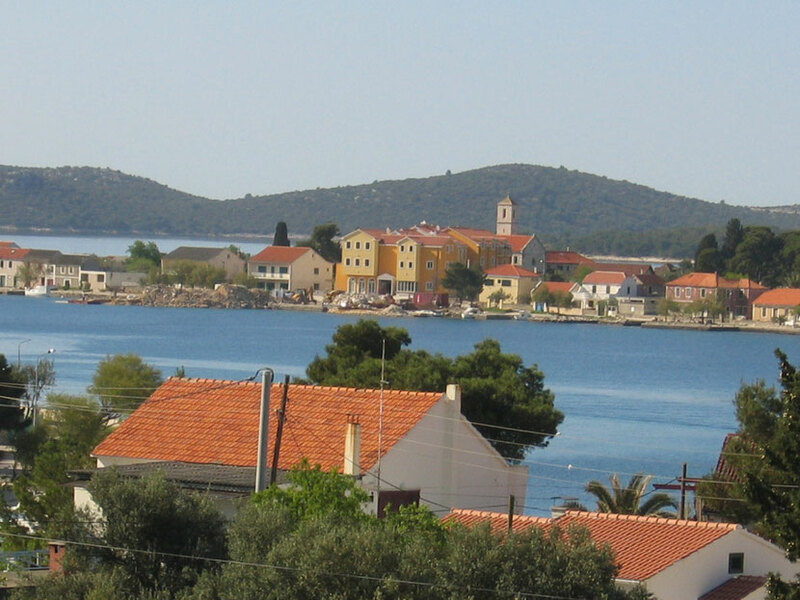 The apartment Tinki is located in a beautiful town Brodarica, near Šibenik (3 km). Pleasant apartment is for 6 persons and consists of a bedroom with a double bed, a bedroom with two single beds, a kitchen with all utensils, a living room with a big sofa bed, a bathroom and a big balkony (30 m2) with a view to the sea. Large apartment (70 m2) is all first floor of a private house, only 100 m from very suitable beaches that are ideal for both children and adults. The beaches are with nature shady place. The bakery and store are only 20 m, pizzerias, restaurants, coffee bars, post office and long promenade only 100 m away from apartment. Guests have access to TV, SAT, use of grill and parking place. Lots of kitchen utensils, bed linen and tourist tax are included in the price. Air conditioning and laundry extra charge. Because of its location on the Croatian Adriatic, Šibenik - Brodarica is a suitable place for excursion, eg. in the national parks: Krka 20 km, the Kornati islands with 200 islands 40 km, Paklenica with its impressive canyons 105 km and Plitvice Lakes 190 km.